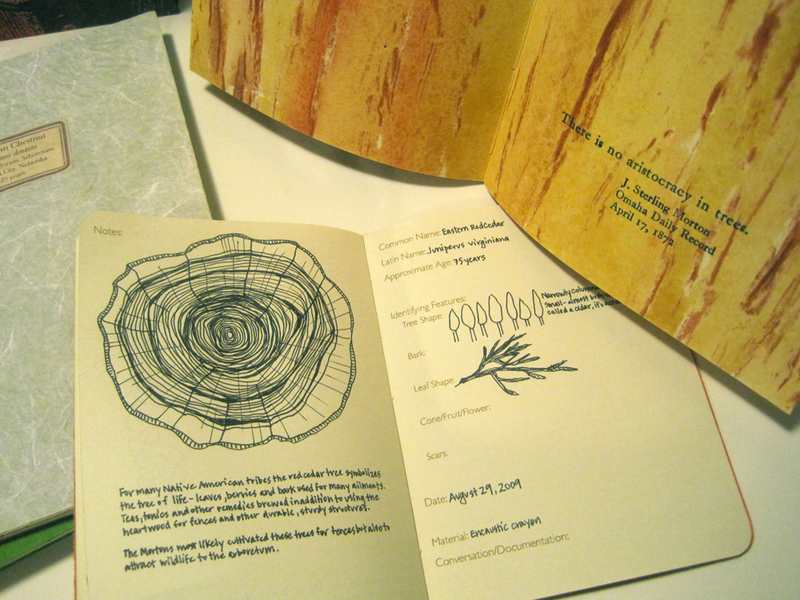 In 2005 I made my first tree rubbing at Windgrove in Tasmania. 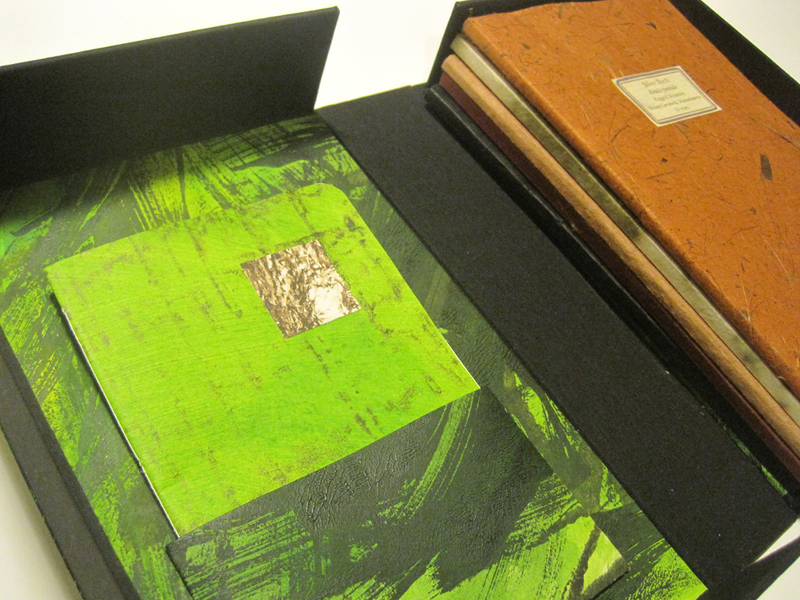 Since then I have made countless large and small rubbings. 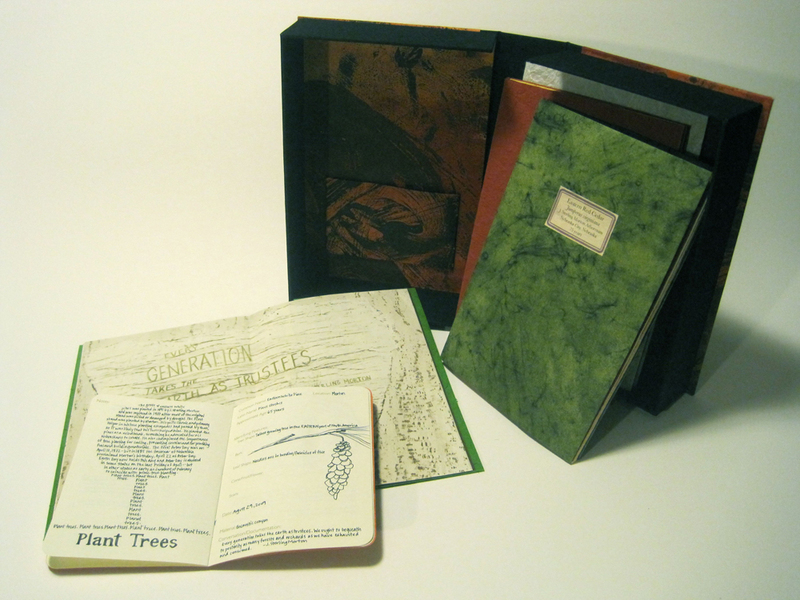 Many find their way into books that I call Tree Portraits. 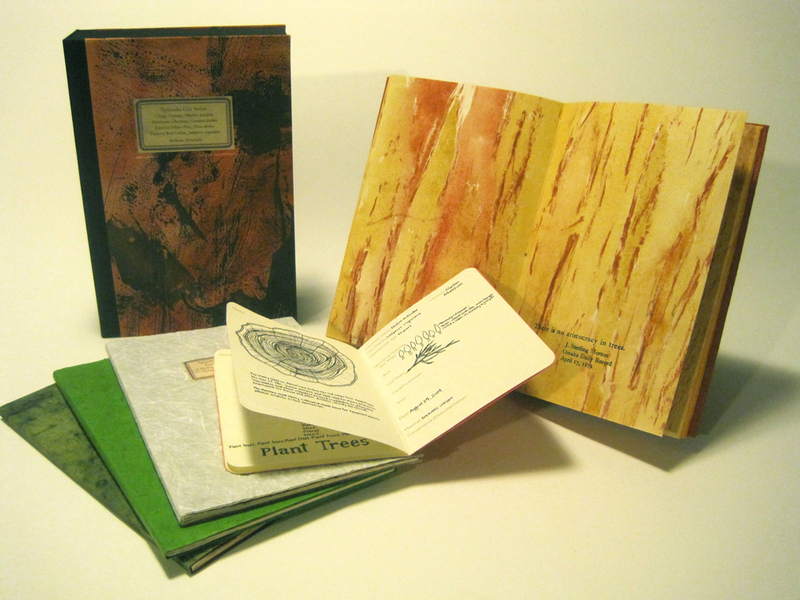 I typically gather 4-6 Tree Portrait booklets into a collection that is housed in a clamshell box and is accompanied by a Field Guide to Tree Portraits. Over the years I have created about a dozen of these collections. Many gather trees from all over the world. But some focus in on particular places. Pictured here are images from the Nebraska City Tree Portraits (where Arbor Day was founded by J. Sterling Morton) and the Greylock Tree Portraits. Greylock is the tallest mountain in Massachusetts. 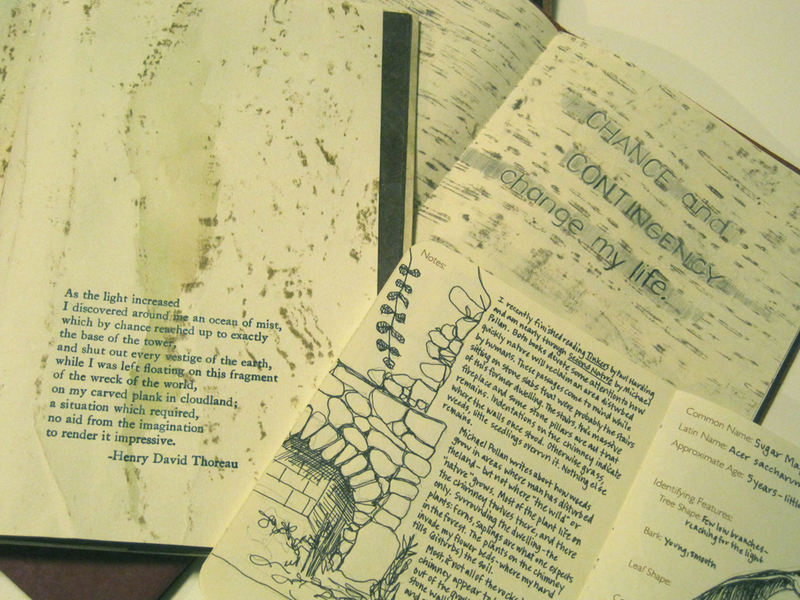 I made these while hiking to the summit of Greylock in June 2010.